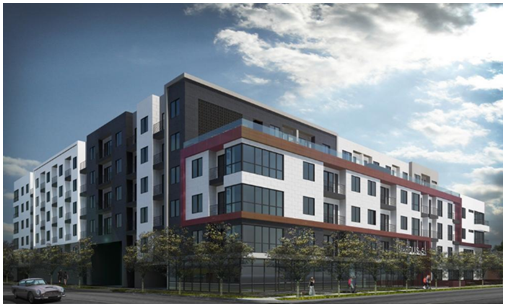 ​​AUSTIN – Oden Hughes LLC and CWS Capital Partners LLC have created a joint venture to build an upscale apartment community just west of downtown near the flagship Whole Foods Market Inc. store on Sixth St. The 226-unit complex with associated retail has broken ground at 1301 W. Fifth St. on a 1.6-acre site that previously was occupied by an AT&T office building and fleet parking lot. Documents at the City of Austin show that the project is valued at nearly $29 million. About 10 percent of the units—one, two and three-bedroom floor plans—will be leased at below market rates to qualified households. ​Wan​t more data? See Austin Multifamily Market Research.